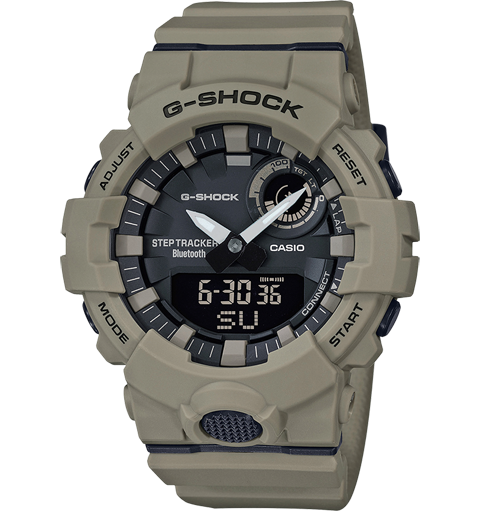 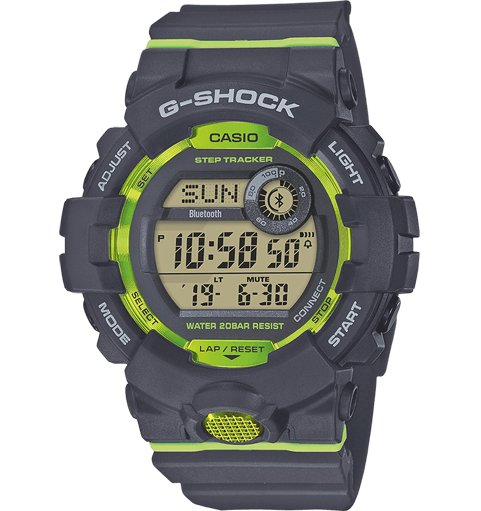 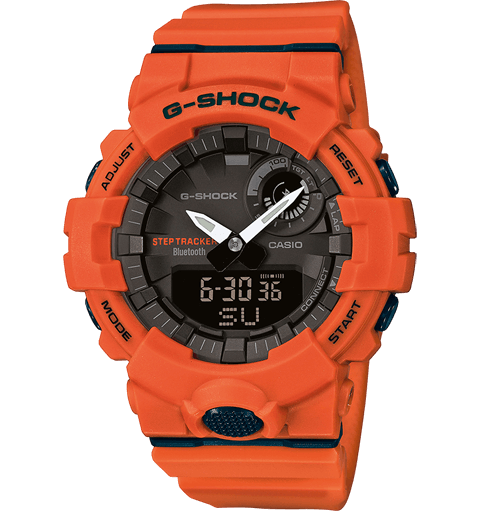 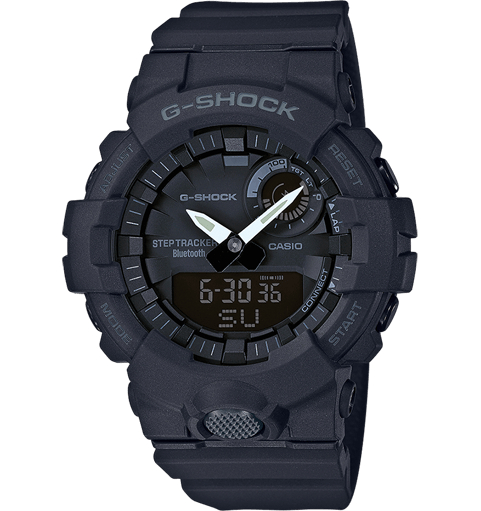 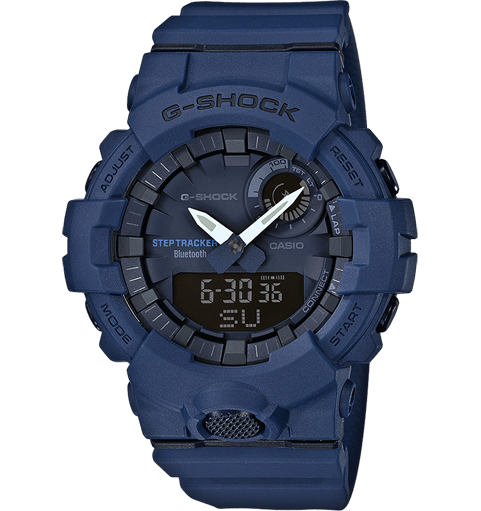 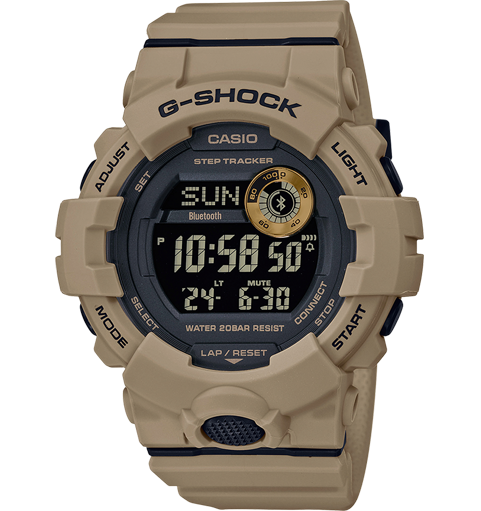 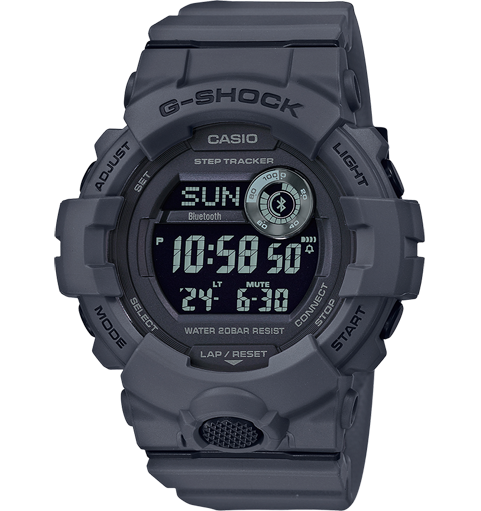 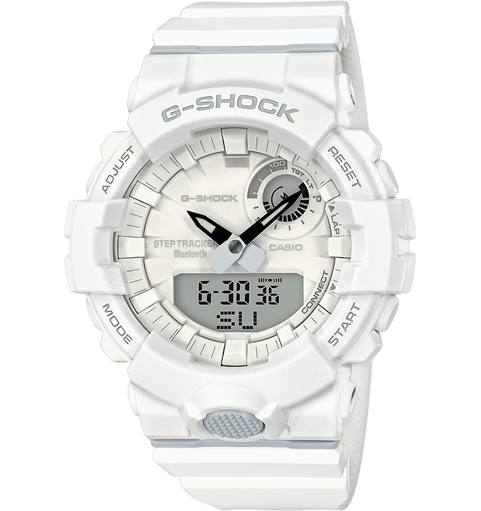 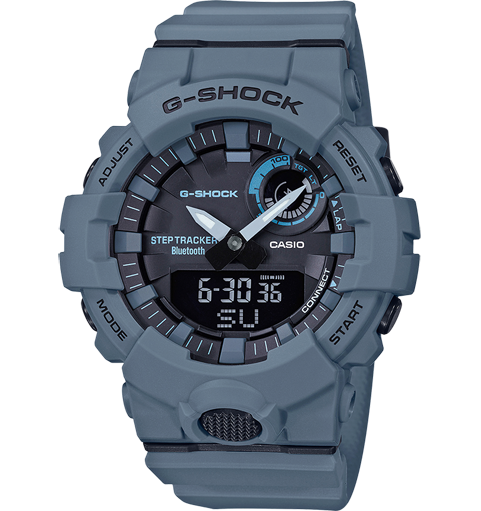 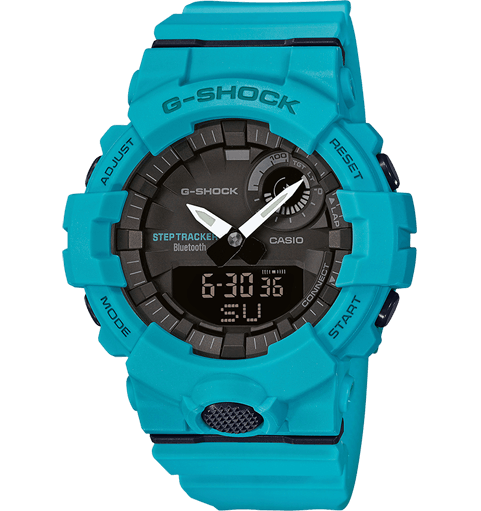 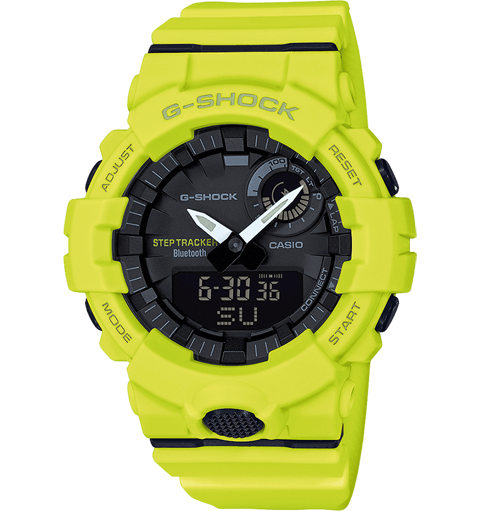 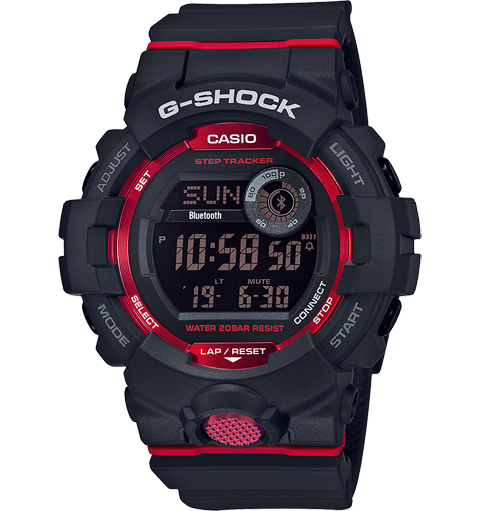 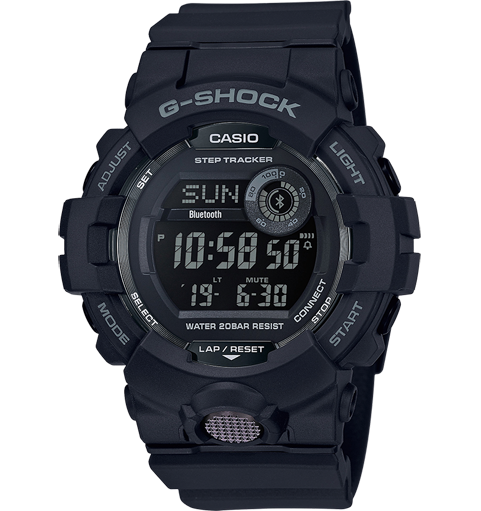 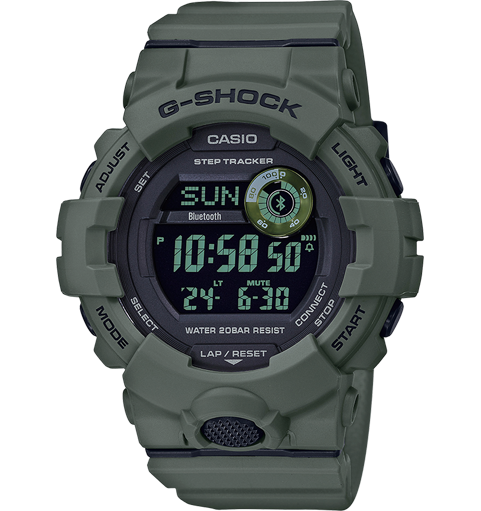 The new G-SQUAD series combines a stylish look with innovative technology. 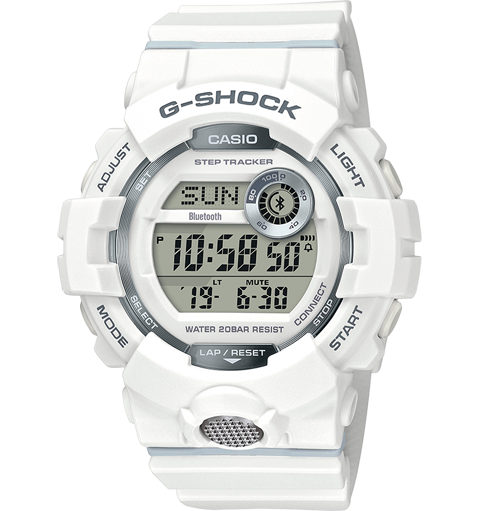 Equipped with a 3-axis accelerometer, the watch measures the daily number of steps as well as the walking or running speed. 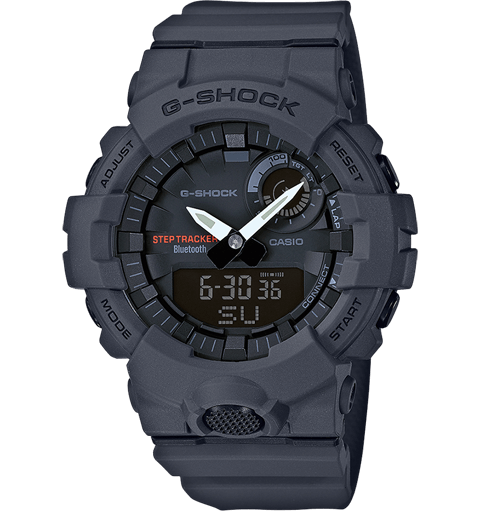 Using Bluetooth®, the watch pairs with a smartphone and sends data to the G-SHOCK Connected app, allowing users to track their progress in a perfect way.